The afternoon sky is waning.The hour strikes 5PM and a short melody rings out over the loudspeaker with an eerie echo. 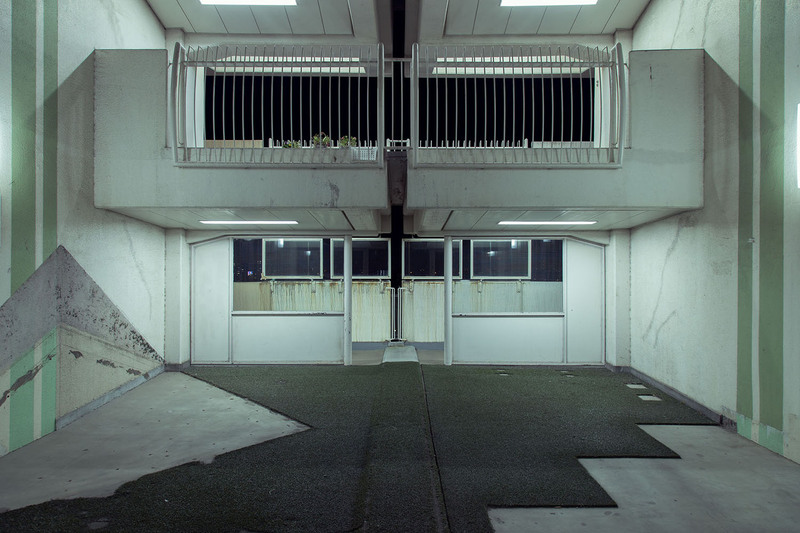 I am standing alone before a complex of DANCHI, Japanese public housing apartments. 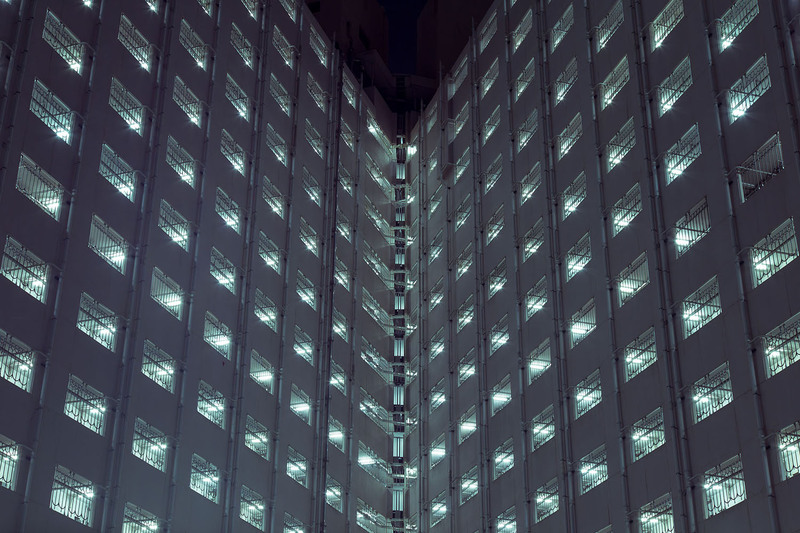 Row upon row of identical numbered buildings reach into the distance, their fluorescent lights flicker to life and illuminate the stark concrete. DANCHI emerged across Japan in the 1960s to cope with rapidly growing urban populations. 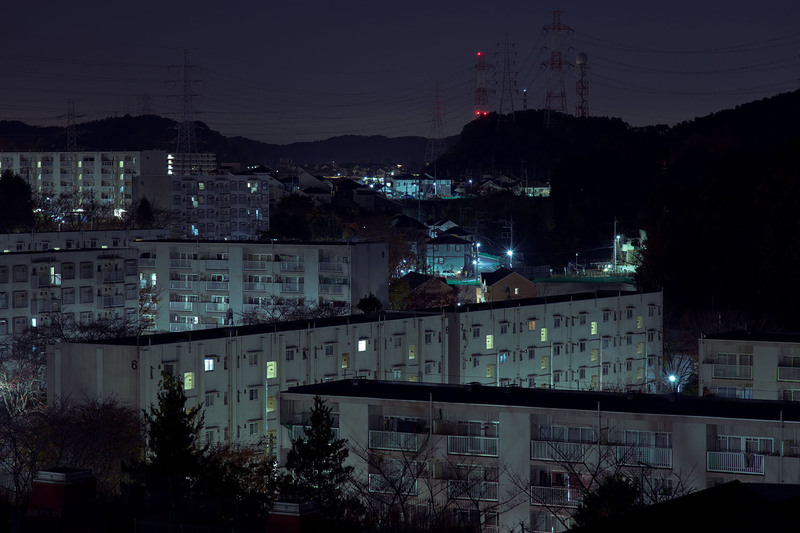 From 3 and 4 story buildings on the edges of cities, to massive clusters of 15-story blocks complete with schools, shops, and playgrounds, the concrete communities of DANCHI replaced the wood and dirt of Old Japan. 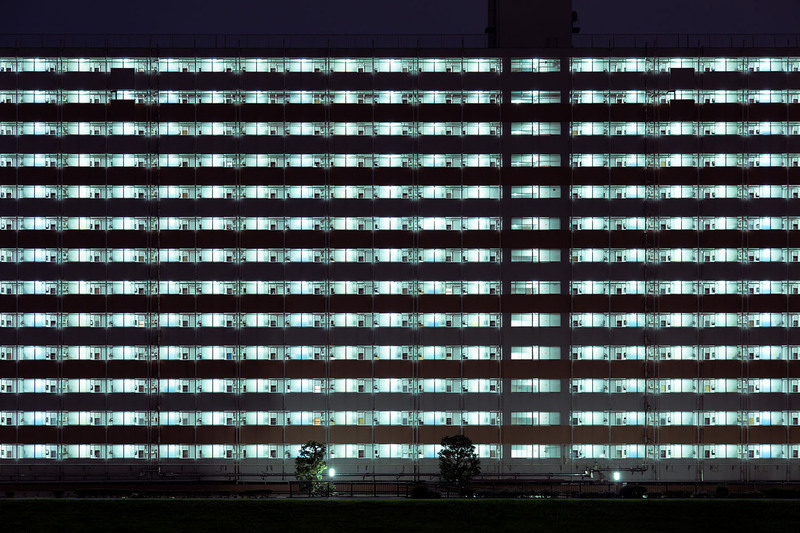 DANCHI were not just housing projects but were a dream for many, something to aspire to. They were a vision of a harmonious life and Japan’s new found prosperity. Half a century later DANCHI are in decay. 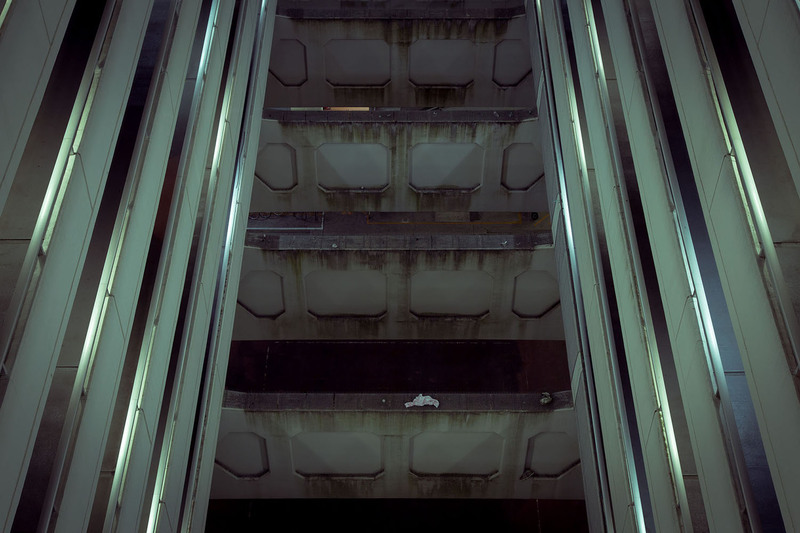 The concrete symbol of Japan’s economic miracle and post-war identity are slowly being forgotten and some are already gone. 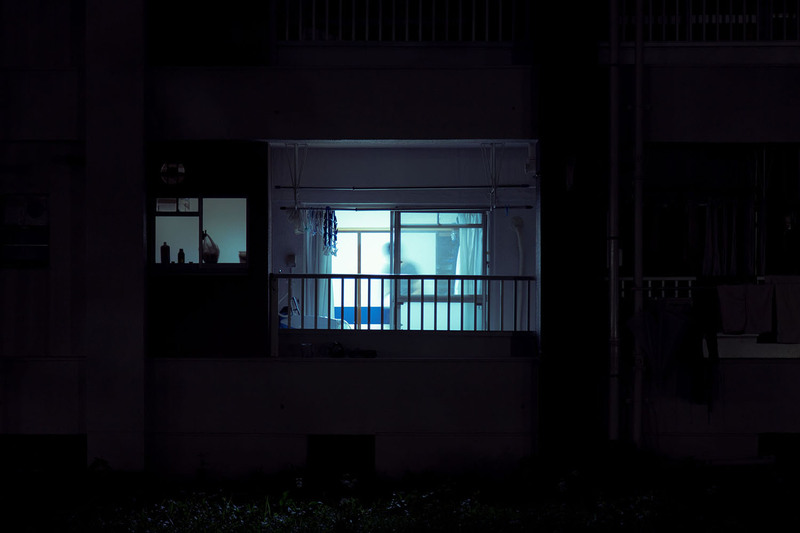 I photographed DANCHI at night, the time of dreams. I visited over 40 complexes and observed both the signature of decline, and also the promise of that original dream however slight. Japan is famed for its ultramodern cityscapes. But what happens when the ultramodern becomes old? 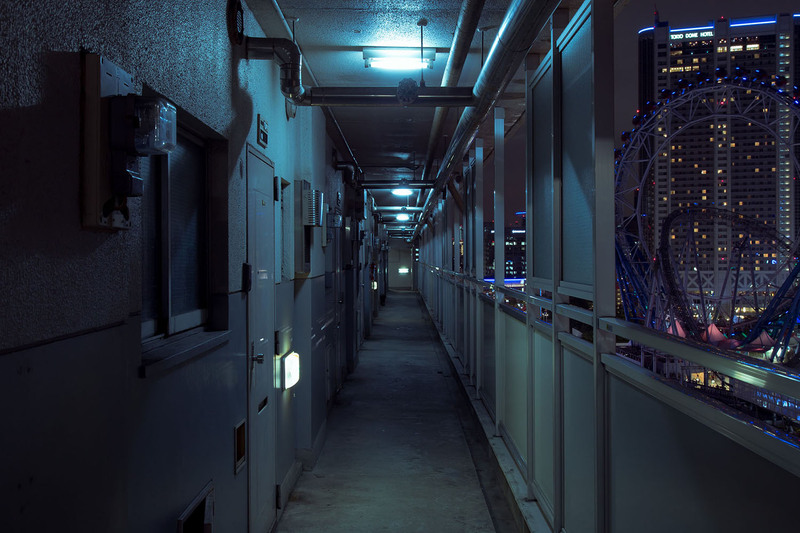 A New Zealand photographer has turned his lens to decaying Tokyo apartments to find out with the launch of his second international exhibition. 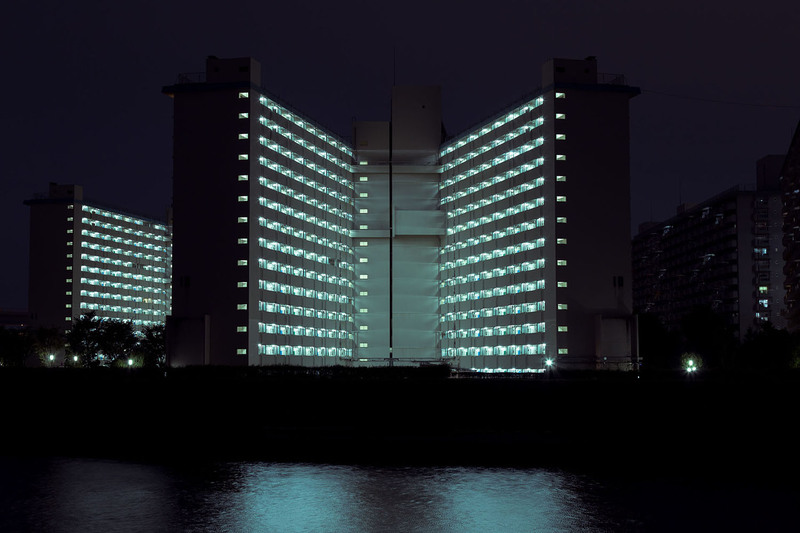 DANCHI DREAMS will launch on May 12 at a former factory turned into a gallery in the Tokyo district of Koto. 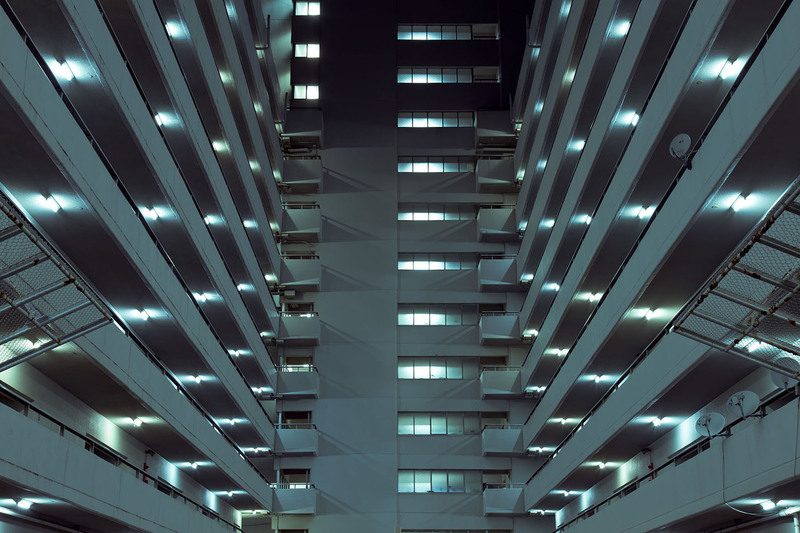 It is the work of Cody Ellingham, a Tokyo-based photographer. 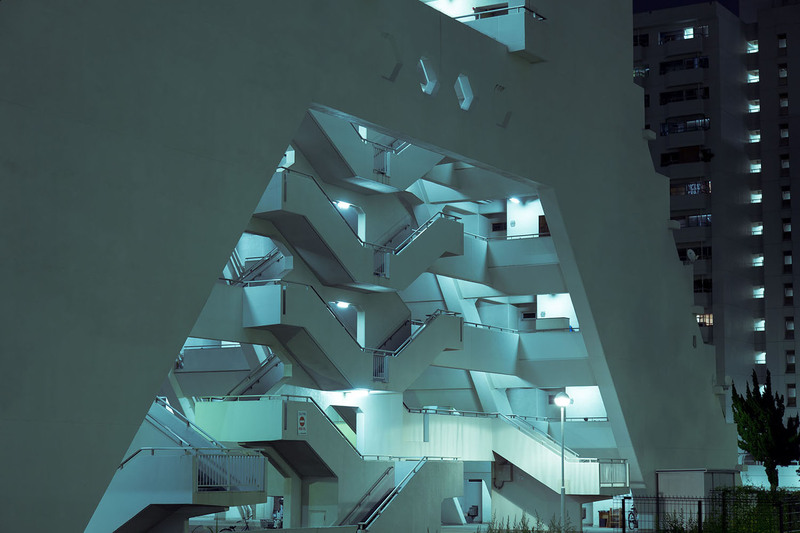 Mr Ellingham’s exhibition saw him explore around 40 large Japanese public housing blocks known as ‘danchi’ (‘group land’) over the past year, visiting at dusk and early evening. He initially saw danchi as “mountains of steel and concrete”. 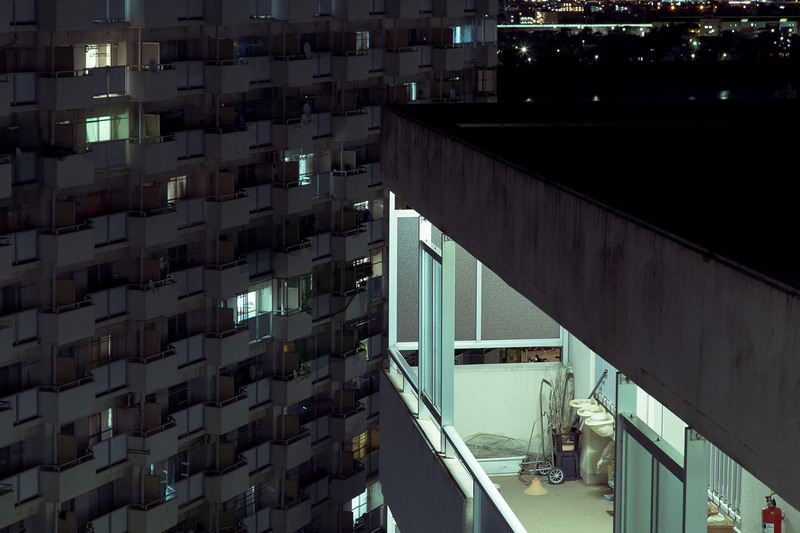 They are often built in clusters, sometimes in “sleeper towns” of up to 70 buildings, each numbered rather than named, with each apartment the same as its neighbours from the outside. The apartment buildings replaced wooden dwellings destroyed during World War II, and to cope with rapidly growing urban populations. They were originally a vision of a harmonious new life. Hibarigaoka danchi even attracted an unprecedented visit from Japan’s Crown Prince in 1960 though the building is now a carpark. “Talking to older people, danchi were a dream for them. Something to aspire to. The old houses were little villages made from earth and wood. Danchi represented a new and modern way of life. If you go back to the 1960s, this was how people saw the future. The demographic of danchi-dwellers has changed since the 1960s. Today, the apartments are largely inhabited by immigrants and the elderly. Although he visited at a time where most people were home, he rarely saw people and was never approached for conversation. Danchi were now seen as archaic and sterile. Even the most desirable often have tiny rooms and no elevators. A lot of danchi aren’t up to modern earthquake or fire standards, and in 15-20 years, many are likely to be demolished to make way for the latest ultramodern building boom. 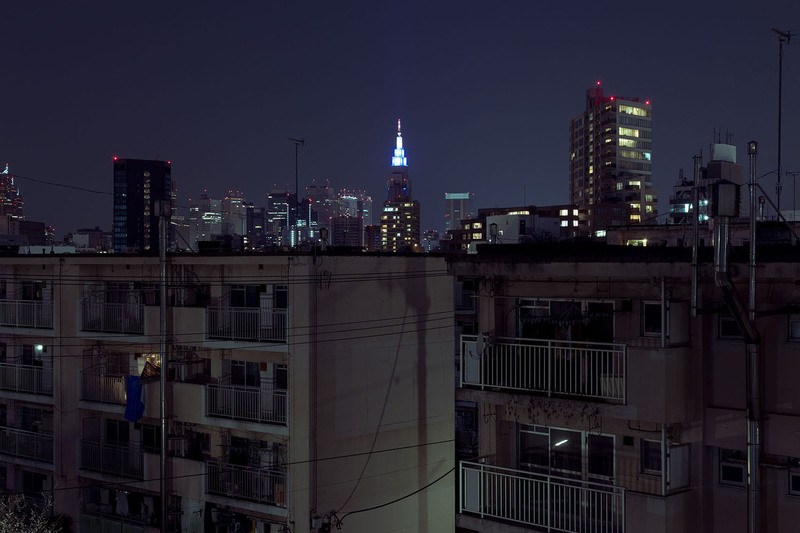 But despite the anonymous, ‘carbon-copy’ lifestyle of the fading monoliths, he sees beauty rather than despair in the buildings, which for many people are the only home they know.